Ahrar al-Sham Appoints New Leader Following Lose Of Idlib City To Hayat Tahrir al-Sham 5.2 out of 5 based on 5 ratings. 5 user reviews. Ahrar al-Sham released a statement confirming that Hassan Soufan (or Abu al-Bara) has replaced Ali Omar (Abu Ammar) as the group’s leader. Hassan Soufan obtained power following the group’s loss of a number of areas, including the city of Idlib, to Hayat Tahrir al-Sham (formerly Jabhat al-Nusra, the Syrian branch of al-Qaeda) in Idlib province. However, according to local sources, the new Ahrar al-Sham leader has much better relations with Hayat Tahrir al-Sham (HTS) than the previous one and supports HTS’ idea of unification of all Idlib militant groups under one command that without doubts would be dominated by HTS. Thus, this may be start of the end of Ahrar al-Sham as more or less independent entity and a major blow to Turkey that had relied on the group as on the tool of own influence in Idlib province. Everybody knows that AAS in Idlib is finished as in completely out. HTS will, alas, unify all factions in Idlib under its command and will after installing a unified command structure not wait for SAA to come and get them, They will attack as soon as they are able if SAA is still occupied in the Badya. If they attack the road to Aleppo, very near to their lines, and are able to cut that road and hold it, SAA in the north and north east will collapse within a week, two at the most, as their supply lines will be cut. Strategically, this is their best way forward. Whether they are able to hold themselves against counterattacks, my glass ball does not show. dutchnational, the kurd wiping the floors of his white masters toilets in Amsterdam, steadily wished attacks on SAA by ISIS/HTS, help by Israel for his dreams of an own kurdistan, because they need landgrabber experiences and weapons and money by the US to keep the landgrabbed regions. dutchnational, the kurd, who thinks he is a Dutch and could become a kurd although he is one. It seems you are frustrated. I am dutch as in for as long as our family is known, going back to the 17th century. However, I have much respect for the kurds in the Netherlands and for the 60.000 Syrian and turkish Arameans living among us. Contrary to you I do not have any problems with people of other colors and maybe contrary to your country, people immigrating to the Netherlands have many opportunities among us if they adapt, learn and to some extent integrate. The mayor of one of our biggest cities is a maroccan berber out of the Rif mountains. So go tell your racist opinions to a turk. It seems to me that you are a racist when you always tell us to dislike Turks. Ok, take some of these invaders from Merkel and destroy the Netherlands with foreign cultures. You are one of the good idiots that never understand that Europe is not for masses and everybody so as any part of the world. Indeed, I have a reserve one. The polishing I have delegated. So use your stick to get your glass balls activated. We want to know much more about your wet dreams and starving hopes. 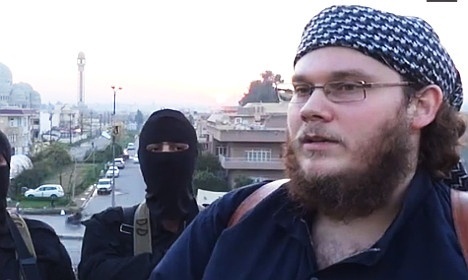 Christian Emde is that you?`You came back from the Caliphate and went to the Netherlands? wonder if this is being done to prevent other “moderates” in other areas to make cease fires with the SAA and get transported there, since it seems to be the standard format of negotiation for ragheads to surrender. I’m thinking some US influence in this case.